This page will no longer be updated. Go to https://poormanssmu.wordpress.com/research/ instead !!!!! NOTE: This document (currently) only contains unstructured research material. Might be useful for others. Disclaimer: I’m an electronics newbee. Findings, solutions, suggestions, conclusions made in this document should not be viewed as accurate or even correct. They are mainly for my own use, learning and reference. I started out with a wish to have a power supply with both positive and negative voltages. You can get that by connection two “normal” supplies together. But you don’t get seamless transitions from – to +. Cheap and mid-range commercial bench power supplies also tend to have low accuracy in the lower range (uV and uA). You might find a general accuracy of 0.05%. That’s not bad, except when you start looking into detailed spec it’s often also a +2 to +4mV/mA offset to account for at the lower range. A also want an electronic load. I then though about combining a power supply with an electronic load (sink and source capabilities) and soon found out that we’re now talking about a four quadrant supply. Add precision and dynamic range to this and you have a source measure unit. Is it possible for a newbe to design and build a device like this? Or at least something similar with a bit less precision ? A kind of four quadrant Keithley 2280s. It could be a “poor man’s source measure unit“. I accept that the first versions probably will have way lower accuracy. My four quadrant endavour started out with a LT1970 (which was the closest I find for a IC supporting four quadrants), tried to learn how it works, identify it’s limitations and see if I can create a more “discrete” circuit without all of it’s limitation. Seems like a lot of power supplies use variants of this conceptual model where the control of voltage is “OR”ed with the current control using diodes or transistors. The question is how this will work when you add an additional negative current limiter. Then the voltage and negative current control loop will “fight” each other… Who is under control ? How to obtain stability ? One of the first parts I want to learn about is how to design a stable and accurate control loop. There are a lot of power supply projects out there. Mostly single quadrant variants, but there is a lot to learn from them. EEZ H24005 BENCH POWER SUPPLY (Arduino Shield for programmable DIY bench power supply with SCPI support). Dave jones uSupply, schematics (Rev B , Rev C). Current control uses filter 1uF/ 330R = 480Hz? at the output of the current sense (MAX4080T) which helps reducing noise. (Rev C replaces MAX4080 with “discrete” op amp diff amp and output filter changed to 0.1uF / 1K =15KHz? cutoff) Also uses a transistor to draw the output low in case of current limit. Instead of output from op-amp and diode. Both revisions also use filter in the input of the voltage regulator (22uF) to “stabilize” the circuit. Rev C is an update of rev B. It basically saves a lot of components (read: cost). For example: Replacing uCurrent and MAX4080 with INA219 and discrete op-amp based differential amplifier, replaced AD/DA to save cost and pins (more info in EEVblog #259 – PSU Rev C Schematic – Part 12 ).Now powered by only two li-ion batteries. Downside is a slight reduction in precision (10bit). (Note also that Ian has designed (and sell) a precision programmable voltage reference Handheld Precision Digital Voltage Source – PDVS2) that can be a very useful tool. Some limitation of lt1970 is that it cannot set current limits lower that apprx. 4mA. The current limit in general is only within 1%. Output current is max 500mA but requires careful PCB layout to dissepate heat. By adding output stage current can be 5A, but the lowest current limit will then be apprx. 40mA with a 0.1ohm shunt resistance. The subsections below is a collection of relevant documentation for several commercial available supplies. “The CV/CC control circuits provide a CV control loop, a positive CC control loop, and a negative CC control loop. For any value of load resistance, the supply must act either as a constant voltage (CV) or as a constant current (CC) supply. Transfer between these modes is accomplished automatically by the CV/CC control circuit at a value of load resistance equal to the ratio of the programmed voltage value to the programmed current value. The negative CC control circuit is activated when a current source such as another power supply is connected across the output terminals and its voltage is greater than the programmed voltage. A low level CV_Detect*, CC_Detect*, or CCN_Detect* signal is returned to the secondary interface to indicate that the corresponding mode is in effect. When the CV loop is in control, diode D328 is conducting current. Voltage regulation is accomplished by comparing the programmed voltage signal CV_Prog with the output voltage monitor signal Vmon. The Vmon signal is in the 0 to +5 V range, which corresponds to the zero to full-scale output voltage range of the supply. If the output voltage exceeds the programmed voltage, Vmon goes high and produces a more negative-going CV signal, which reduces the input to the voltage gain stage and lowers the output voltage. Conversely, if the output voltage is less than the programmed voltage, Vmon goes low and produces a more positive-going CV signal, which increases the input to the voltage gain stage and raises the output voltage. Depending upon the position of the sense switch, the output voltage is either monitored at the supply’s output terminals (local), or at the load (remote) using the +S and -S terminals with remote sense leads connected to the load. If the output voltage goes higher than the programmed value, the unit starts sinking current to reduce the output voltage. current, Imon_H goes low and produces a more positive-going CC signal, which increases the input to the voltage gain stage and raises the output current. The service manual also contains full schematics. The Keithley 228A is capable of bipolar source or sink (4 Quadrant Operation) up to a full 100 watts without derating, permitting it to act as a voltage or current supply or as an active load. Description from service manual: “Programming current and voltage sets the output voltage of the two digital-to-analog (DAC) circuits. Program ming current controls the output of the I DAC (U23 and U22), and programming voltage controls the output of the V DAC (U25 and U24). Programming current or voltage for zero output will result with a 0V output from the respective DAC. Programming for a full scale output will result with a -40V output from the respective DAC. The output voltage from the I DAC is applied to current clamps through resistor networks. Op amp U13 and diode CR11 form the negative current clamp (-I CLAMP). The output from the I DAC is inverted by the xl amplifier U50. Op amp U17 and diode CR10 form the positive cur rent clamp (+I CLAMP). The output from the V DAC is inverted by the x1 amplifier U12 (xO,1 for the 1.1V range) and similarly applied to current clamps through resistor networks. Op amp U15A and diode CR12 form the positive voltage clamp (+V CLAMP). The inverted output of U12 is again inverted by U19. Op amp U15B and diode CR9 form the negative voltage clamp (-V CLAMP). DAC used are 14 bit current output AD7538 from Analog Device (I’m a bit surprised it’s only 14 bit…). There are LT1007s at the DAC outputs. In the control loop, the voltage clamps use LT1057 and the current clamps use AD744. Why are they different ? For larger version, check the end of the PDF service manual or a resized version I’ve checked into github. The Keithley 2400 smu output stage have multiple voltages. This is in order to avoid too much heat dissapation when large current and high voltage difference between supply voltage and output voltage. Here is a screeenshot from Dave Jones video showing current shunt and the switching mosfet. Could it be the same arrangement as in http://www.imc-berlin.com/fileadmin/Public/Downloads/Whitepapers/eng-WPs/WP_Current_measurement_with__Auto-Ranging.pdf ??? Schematics (PDF) for N3304A 300 Watt Electronic Load Module linked to from a eevblog forum entry: http://www.eevblog.com/forum/projects/diy-bench-power-supply-psl-3604/?action=dlattach;attach=206857. Ian Johnstons Handheld Precision Digital Voltage Source – PDVS2 “A handheld Precision Digital Voltage Source, true 0.0000V to 10.0000Vdc range, battery powered…an accuracy/stability down to the uVs it has a multitude of uses as a calibrator, reference & precision voltage source. ” Uses 18bit DAC9881 and LM399. A lot to be learned in Ian’s informative 3 part video starting here: https://www.youtube.com/watch?v=2Ssg05oFCbk&t=940s. Stability before absolute precision ? Precision: An instrument’s degree of repeatability—how reliably it can reproduce the same measurement over and over. Accuracy: An instrument’s degree of veracity—how close its measurement comes to the actual or reference value of the signal being measured. Resolution: The smallest increment an instrument can detect and display—hundredths, thousandths, millionths. Counts and digits are terms used to describe a digital multimeter’s resolution. Today it is more common to classify DMMs by the total counts than by digits. Counts: DMMs that offer higher counts provide better resolution for certain measurements. For example, a 1999-count multimeter cannot measure down to a tenth of a volt if measuring 200 V or more. Fluke offers 3½-digit DMMs with counts of up to 6000 (meaning a max of 5999 on the meter’s display) and 4½-digit meters with counts of either 20000 or 50000. Digits: The Fluke product line includes 3½- and 4½-digit digital multimeters. A 3½-digit DMM, for example, can display three full digits and a half digit. The three full digits display a number from 0 to 9. The half digit, considered the most significant digit, displays a 1 or remains blank. A 4½-digit DMM can display four full digits and a half, indicative of higher resolution. Already here we see that in order to obtain total 100uV resolution, we must change the max voltage used for low range measurements… If using 16bits converter. In practise, this is probably NOT possible to achieve. There are probably other part of the design that will contribute more to offset and noise. If not, we might increase resolution. later. 10ppms of 1V = 10uV ? 1ppm of 1V = 1uV ?, 15ppm of 1V = 15uV ? I would like to design a system so that measurement errors caused by offsets, gain nonlinearity, drift can be (to a large extent) adjusted for in software. I probable need some extra components for this, such as switches, muxes and a good reference. I still, however, want to use precision components with as low drift as possible. Must I use relay for the current switching, or can I use mosfets such as described here: http://www.electronic-products-design.com/geek-area/electronics/mosfets/using-mosfets-as-general-switches ? Do I have to care about “burden” voltage is is that only relevant for “external” measurement ? ??? Could I have a “separate” current measurement that is floating with battery supply? Just use uCurrent configuration ? uCurrent uses 10k (nA), 10(uA), 0.01ohm(mA) with 100x gain. I don’t need nA. 0.1ohm for mA with 10x gain… ? Or just 1ohm… 100uA will then give 100uV… with 2x gain = 200uV. Current Sense Circuit Collection (Linear Technology ApplicationNote 105, 2005) compiles solutions to current sensing problems and organizes the solutions by general application type. and feature a wide input common-mode voltage range from 2 to 27 V.ONLY UNIDIRECTIONAL and self powered. Not for me. INA226 ( 1x, 0.1% gain error max, 10uV offset max ), From: https://www.mouser.se/publicrelations_techarticle_curentsensemonitoring_2015final/: TI INA226 is one of the highest precision current sense monitors on the market today, with an offset voltage of just 10µV and a common mode range of up to 36V. Not for me. No analog output. INA219B ( 0.5% gain error max, 50uV offset max ) No analog output ? INA210-INA215 (different gains) VCM=-3V to 26V. I need better specs on negative side. INA149 “precision unity-gain difference • Common-Mode Voltage Range: ±275 V amplifier with a very high input common-mode • Minimum CMRR: 90 dB from –40°C to +125°C voltage range”. offset:350uV, max:1100uV. Offset drift: 3µV/°C,max 15 µV/°C. ( VCM –20 to +25 when supply voltage is +/-5V. @15V VCM becomes +/-275V ) From: http://www.ti.com/lit/ds/symlink/ina149.pdf (page 15:): “…the sense resistor imbalances the input resistor matching of the INA149, thus degrading its CMR. Also, the input impedance of the INA149 loads RS, causing gain error in the voltage-to-current conversion. Both of these errors can be easily corrected… addition of a compensation resistor (RC), equal to the value of RS… if RS is less than 5 Ω, degradation in the CMR is negligible and RC can be omitted.”. Video from TI: https://www.youtube.com/watch?v=4by0NI3Pc9g . AMP03AMP03 VCM = ±10 V ? The AD629 looks promising. Expensive, but I only need one. AD8479 cm=+/-600V, “…difference amplifier with a very high input common-mode voltage range”. Gain error: 0.005mV max 0.01mV. 1mV max offset (double that of AD629). AD8210 The AD8210 is a single-supply, difference amplifier ideal for amplifying small differential voltages in the presence of large common-mode voltages. More: http://www.analog.com/media/en/training-seminars/tutorials/MT-068.pdf. “The operating input common-mode voltage range extends from −2 V to +65 V”. Only down to -2…. Not usable for me ? AD8207 for bidirectional current sensing applications. “The AD8207 is a single-supply difference amplifier ideal for amplifying small differential voltages in the presence of large common-mode voltage. The operating input common-mode voltage range extends from −4 V to +65 V”. Only down to -4…. Not usable for me ? AD8230 Gain error: max 0.04%@2x/10x/100x, typ 0.01%, Vos max: 10uV, VCM = −8 V to +8 V, voltage range 750 mV, price $10. Requires external resistors for gain other than x2 ? Guess we need precision resistors… too low common mode ? LTC6915 Gain error: max 0.075%@x1/x2, max 0.5%@2..32, typical 0%. Vos max: 10uV price $8. +/-5V supply. CM=rail-to-rail, which is too low for my application. No current sensing examples are shown in the datasheets for instrumentationl opamps, only thermocoupler bridge. Is it overkill i my use ? Or not suitable at all ? Did I get something wrong ? CMRR problem ? Precision High Side Current Sense Amplifiers: “…We will compare two high-voltage parts, the AD8206 bidirectional difference amplifier and the AD8210 bidirectional current-sense amplifier.Both devices offer the same pinout, and both perform high-side current-shunt monitoring, yet their specifications and architectures are different. So, how does one consider which device is best-suited for the application?”…. “Current-sense amplifiers with this architecture [AD8210] are generally useful only if input common-mode voltage remains above 2 V or 3 V, and if the application doesn’t require that the input common-mode voltage go all the way to ground (or below)….” !!!! MAX9922/23 https://www.maximintegrated.com/en/products/analog/amplifiers/MAX9922.html “…ultra-precision, high-side current-sense amplifiers feature ultra-low offset voltage (VOS) of 25µV (max) and laser-trimmed gain accuracy better than 0.5%. The combination of low VOS and high-gain accuracy allows precise current measurements even at very small sense voltages.”. “The +1.9V to +28V current-sense input common-mode voltage range”…. Not usable for voltages closer to zero ? LTC6102 10uV max offset (will not use, only unidirectional..). AD8217 High Resolution, Zero-Drift Current Shunt Monitor. Mentioned in: (High-Side Current Sensing with Wide Dynamic Range: Three Solutions (2010)) VCM:4.5 V to 80 V Not enough range for my use. LTC1787 “…delivers greater than a 12-bit dynamic range with ultralow 40µV input offset voltage compared to a typical 250mV fullscale input voltage. A fixed gain of 8 is set by onboard precision resistors”. Gain = 8. Se also: Sense Milliamps to Kiloamps and Digitize to 12 Bits – Design Note 227. Seems to be powered by the shunt voltage…. or is it different when biasing for bidirectional ??? PGA281 is a high-precision instrumentation amplifier with a digitally-controllable gain and signal integrity test capabilityWith ±15 V supplies the PGA281 can accept common-mode voltages of ±12.5 V, making it a suitable choice for high-side current sensing only as long as VBUS falls within the common-mode voltage range… Could be a candidate for a first version with reduced voltage span ? Additional opamps… ? Where must we have gain stages ? 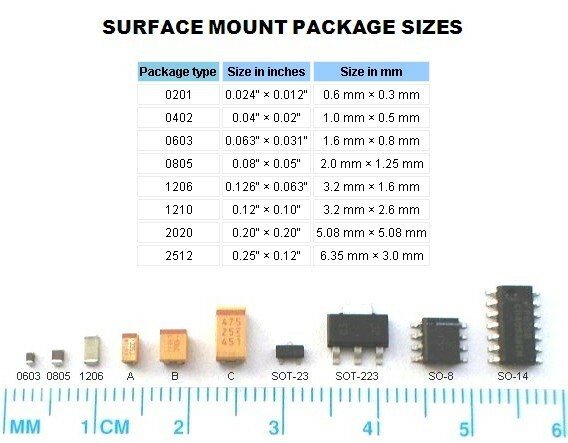 Define +/- range in DAC and ADC, shunt resistors etc. before settling on gain. I probably need 3 bipolar channels. One for voltage control, two for positive and negative current limits. Then you can set different values for negative and positive currents. +-10V 18 bit gives 76uA resolution, 20 bit gives 20uV resolution. This is, however, if everything else is perfect. Which it’s not. But I don’t want the converters to be the bottleneck. I want to be sure that they are not the limitation. 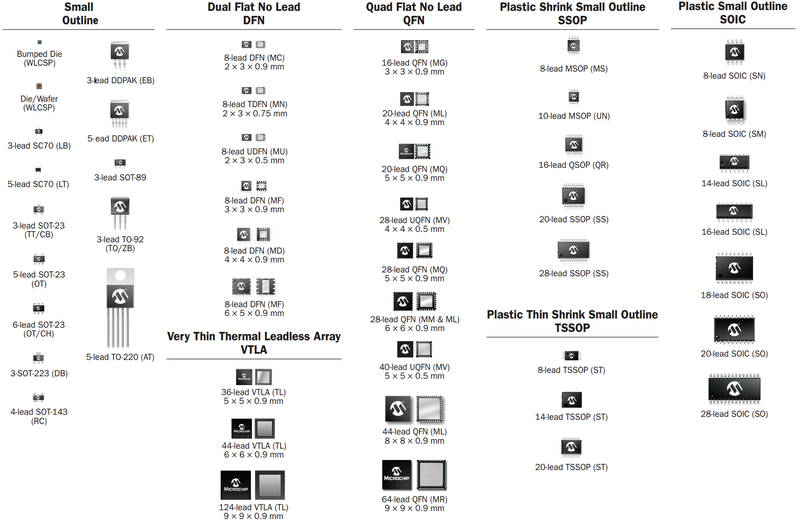 Analog Device http://www.analog.com/media/en/technical-documentation/data-sheets/AD5764.pdf. AN1411 application note: High Accuracy, Bipolar Voltage Output Digital-to-Analog Conversion Using the AD5764 DAC “… integrated output amplifiers, reference buffers, and proprietary power-up/power-down control circuitry...digital offset and gain adjust registers per channel… guaranteed monotonicity, integral nonlinearity (INL) of ±1 LSB, low noise, and 10 μs settling time. “. . Others experiments with this: https://www.laserlance.com/projects/arduino-dac-library-and-shield/ (shared PCB at oshpark: https://oshpark.com/profiles/Laser-Lance. ±2 ppm FSR/°C max. AD5765 Complete Quad, 16-Bit, High Accuracy, Serial Input, ±5 V DAC. More or less same as AD5764 except only 5v ???? I also tried this 1 channel DAC, mainly because it’s recommended for new designs in the analog webpage and I got some samples from Analog Devices. Wasn’t too difficult to get it up’n running. In my crude setup I found that it drifts some quite a few uVs. Note that the temperature coefficient in bipolar mode is +/-15uV. Might be a bit much for my application. Code for arduino at Github. I really wanted to use this DAC. But I never managed to “tame” it. More about by problems here: DAC8734 drawing too much current from analog supply and gives completely wrong output values. My theory is that I, at one or several stages, has done something wrong and “killed” the device. Can You Use the Voltage Reference to Power Your ADC Driver? Could I simply use a LTC6090 140V Op Amp with a audio amplifier MOSFET output as indicated in the datasheet ? LTC2057, or other high voltage opamps from linear: http://cds.linear.com/docs/en/product-selector-card/2PB_6015f.pdf ? Have problems with current limiting circuit. Have tried variations of diode or transistors as used by other designs. Unstable. http://wahz.blogspot.nl/2015/06/lab-power-supply-current_13.html and related posts discusses various approaches to current limiting. Trial and errors. AN-1645 LM4702 Driving a MOSFET Output Stage (2013) contains info about distortion in different mosfet combos. Also a bit on output stage in general including gate resistor choice and snubber (section 7). Something like Keithley 2450 sourcemeter ? I feel the Keysight sourcemeter has too small digits. Partitioning and layout of a mixed signal PCB tries to explain why separate ground for analog and digital circuitry might not be the correct solution. ATmega328PB Isolated Application Board An ATmega328PB breakout board with digitally-isolated SPI, I²C, or generic GPIO. $3 on tindie. Several pdf presentations for electronics. Starting with http://scipp.ucsc.edu/~johnson/phys160/lecture1.pdf. More about opamps and output stages: http://scipp.ucsc.edu/~johnson/phys160/lecture14.pdf. https://easyeda.com Could this be it for schematics/PCB ?